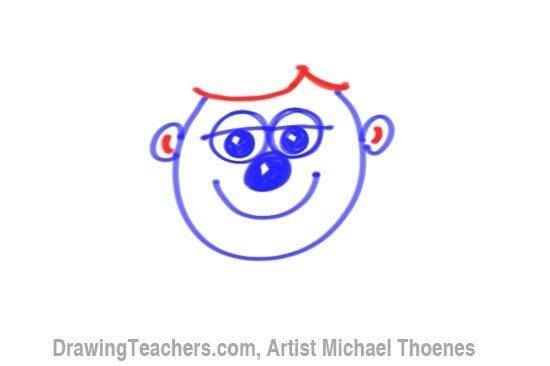 Draw a Funny Boy Face: Draw This Funny Face Boy in easy steps. 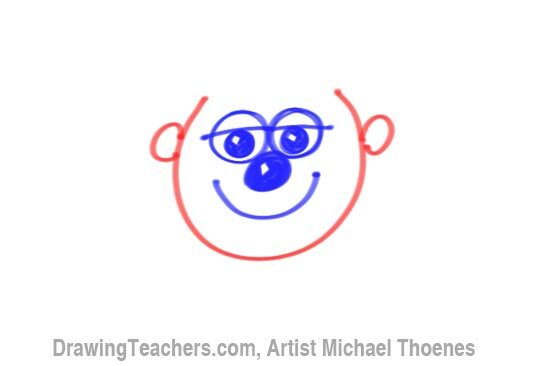 This funny face is easy for kids to draw and might even make you laugh! 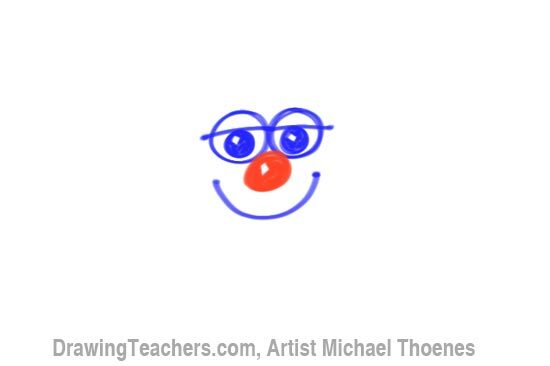 This easy to draw boy has big round eyes, a round clown nose and a big happy smile. 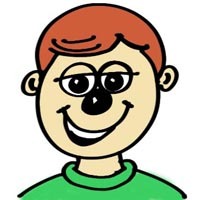 You can experiment with him by changing has hairstyle or giving him a different color shirt or a bigger or smaller nose. I hope you have fun drawing this funny boy face. 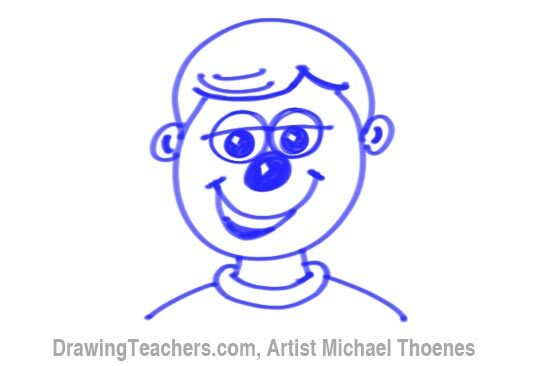 Now let's get started with "How to Draw a Funny Face Boy." Begin your drawing by creating the eyes. 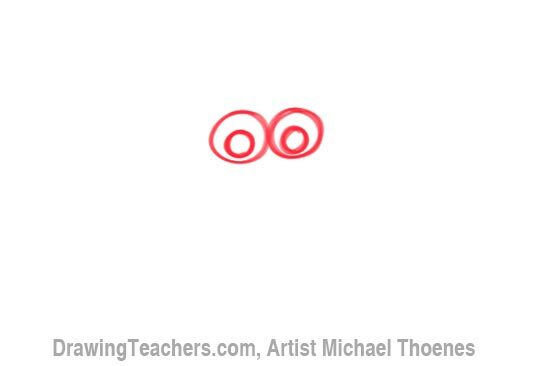 These are simply circles within circles. 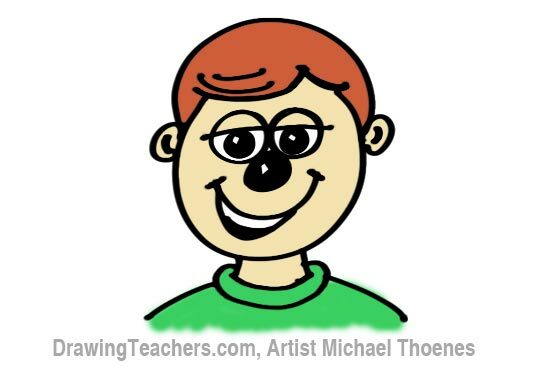 Draw a line for the eyelids, a curve for the mouth and two small squares for the highlights in the eyes. 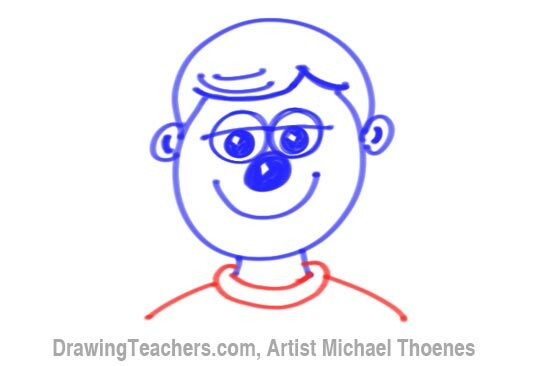 Add a big clown nose to your funny face boy drawing. 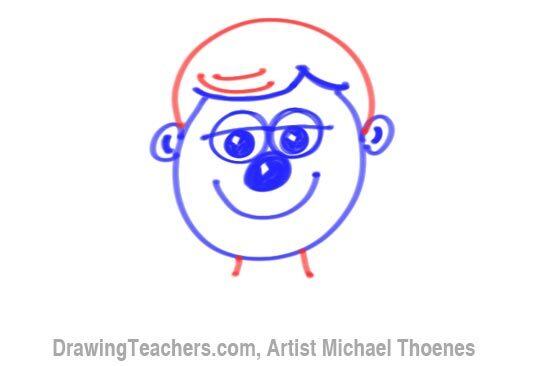 Draw part of a circle for the head and add smaller circles for the ears. Mark in the inside of the ears and add some curves for the hairline. Complete the hair with a curve on top and a few curves in the hair. 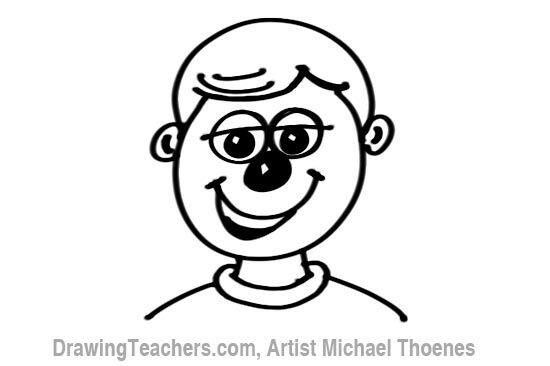 Draw your funny face boy a shirt to wear! Let's open the boys mouth by adding a curve under the mouth curve. Mark some small lines for the smile dimples and fill part of the mouth to create a row or teeth. Color your funny face boy drawing with crayon, marker or colored pencil. 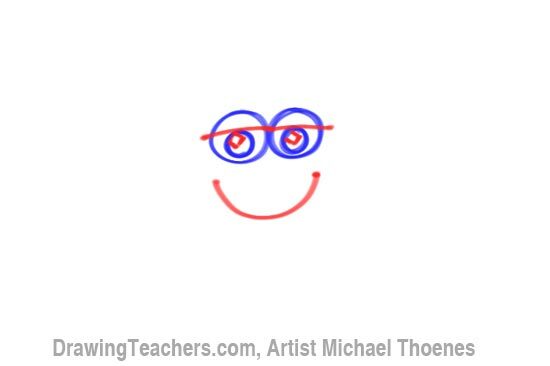 "How to Draw a Funny Boy Face!"